Informal prayer time before the morning service From 1015-1045 each Sunday the posh room is available for prayer spoken and unspoken, for our church, for the world and for current needs. You can come and go within that time so no need to stay for the half an hour. Feel free to drop in. PASTORAL CARE TEAM Please call either your elder or the coordinator, Janette Steele (01349 861591) if you think the team could assist. If you need to be taken to an appointment, please allow time for arrangements to be made. LADIES BIBLE STUDY We have come to the fifth study in our run up to Easter. This one is entitled “Crucified and Risen”. We will read Matthew 27 and 28: 1-10. 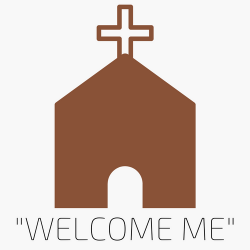 In the Church Hall on Wednesday 3rd April at 1.30pm for about an hour is where a warm welcome awaits you. BUNDLES OF FUN For all parents/carers, babies + toddlers, every Thursday in the hall from 1pm-2:30pm. Come along and relax over a cup of tea/coffee whilst you watch the children play. SERVICE THEME As we are heading toward the end of the school term we finish looking at four precious sayings of Jesus with “Abide in me”. We will then finish off with a slightly different theme on Sunday 7th April which is the last Sunday before Easter Holidays. It will be an Easter themed service with an Easter egg hunt for the children before the service next Sunday morning at 10:15am. All children/families welcome. GUILD The final meeting of the Guild for this Session will be held tomorrow evening, 1st April at 7.30pm. This is to be an “evening of music and fun”. Do come along to see if the Guild would suit you. Members are very welcoming. This is also the Annual General Meeting. For anyone collecting for the Fellowship of the Least Coin, it would be good to have the monies brought to that meeting. Look forward to seeing you there! PANCAKE PIZZAZ Many thanks for all who have pledged to provide ingredients and/or to help on the day. We still need some ingredients (see the list on the table at the back of the Church). Items can be placed in the crate provided at this service and at the service this evening. Otherwise, please bring them to the hall on Friday 5th April between 7 and 8pm, or on Saturday 6th April between 10 and 12am. Baking and produce for the sales table can also be brought at these times. We also need more pancakes, and more help, especially waiters/waitresses. Please add your name to the list on the table at the back of the Church if you can help at all. If pancakes are not your forte, could you perhaps give some baking or produce for the sales table? Finally, please do come along, and encourage your family, friends and neighbours to do so. Feel free to take fliers from the table in the Church vestibule to advertise the event. As well as delicious pancakes with a whole variety of fillings, and activities for children, there will also be a talk by Stuart McAra of The Leprosy Mission (Scotland) in the small hall at 3pm. RIVER CAFÉ The next River Cafe takes place in the Church Hall on Wednesday 10th April from 2pm-3.30pm. This is proving a popular time for meeting up for a chat while enjoying some tea/coffee and home bakes. Why not join us? We look forward to welcoming you there. If you would be willing to provide some home baking for this event, can you please add your name to the list at the back of the church so that we have an idea of what baking will be available? Many thanks. HIGHLAND FOODBANK The report says that the foodbanks are being used twice as much and usage is underreported. The need is great. Please add some extra items to your shopping trolley to help. As the school holidays approach, think of things for the children which might be a “luxury” when things are tight. Thank you for your amazing generosity in the past. It does make a difference to people’s lives.